Q: Why Generics are used in Java? A: Generics provide compile-time type safety that allows programmers to catch invalid types at compile time. 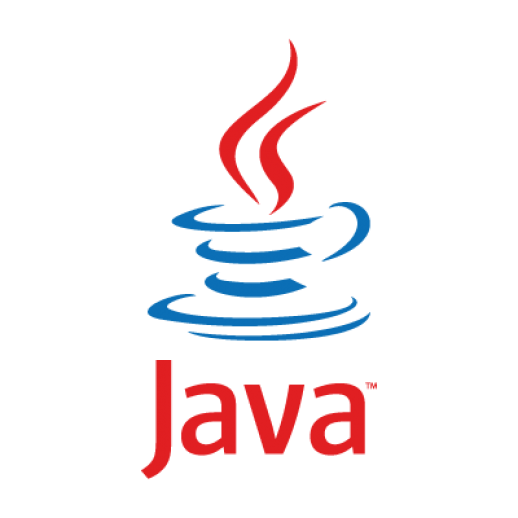 Java Generic methods and generic classes enable programmers to specify, with a single method declaration, a set of related methods or, with a single class declaration, a set of related types. Q: Is there any need to import java.lang package? A: No, there is no need to import this package. It is by default loaded internally by the JVM. Q: What is Nested top-level class? A: If a class is declared within a class and specify the static modifier, the compiler treats the class just like any other top-level class. Nested top-level class is an Inner class. A: Externalizable is an interface which contains two methods readExternal and writeExternal. These methods give you a control over the serialization mechanism. Q: If System.exit (0); is written at the end of the try block, will the finally block still execute? A: No in this case the finally block will not execute because when you say System.exit (0); the control immediately goes out of the program, and thus finally never executes. Q: What is daemon thread? A: Daemon thread is a low priority thread, which runs intermittently in the back ground doing the garbage collection operation for the java runtime system. Q: Which method is used to create the daemon thread? A: setDaemon method is used to create a daemon thread. Q: Which method must be implemented by all threads? Q: What is the GregorianCalendar class? Q: What is the SimpleTimeZone class? A: The SimpleTimeZone class provides support for a Gregorian calendar . Q: What is the difference between the size and capacity of a Vector? A: The size is the number of elements actually stored in the vector, while capacity is the maximum number of elements it can store at a given instance of time. Q: Can a vector contain heterogenous objects? A: Yes a Vector can contain heterogenous objects. Because a Vector stores everything in terms of Object. Q: What is an enumeration? A: An enumeration is an interface containing methods for accessing the underlying data structure from which the enumeration is obtained. It allows sequential access to all the elements stored in the collection. Q: What is difference between Path and Classpath? A: Path and Classpath are operating system level environment variales. Path is defines where the system can find the executables(.exe) files and classpath is used to specify the location of .class files. Q: Can a class declared as private be accessed outside it's package? A: No, it's not possible to accessed outside it's package. Q: What are the restriction imposed on a static method or a static block of code? A: A static method should not refer to instance variables without creating an instance and cannot use "this" operator to refer the instance. Q: Can an Interface extend another Interface? A: Yes an Interface can inherit another Interface, for that matter an Interface can extend more than one Interface. Q: Which object oriented Concept is achieved by using overloading and overriding? Q: What is an object's lock and which object's have locks? A: An object's lock is a mechanism that is used by multiple threads to obtain synchronized access to the object. A thread may execute a synchronized method of an object only after it has acquired the object's lock. A: It is the casting from a general to a more specific type, i.e. casting down the hierarchy. Q: What are order of precedence and associativity and how are they used? A: Order of precedence determines the order in which operators are evaluated in expressions. Associatity determines whether an expression is evaluated left-to-right or right-to-left. Q: If a method is declared as protected, where may the method be accessed? A: A protected method may only be accessed by classes or interfaces of the same package or by subclasses of the class in which it is declared. Q: What is the difference between inner class and nested class? A: When a class is defined within a scope of another class, then it becomes inner class. If the access modifier of the inner class is static, then it becomes nested class. Q: What restrictions are placed on method overriding? A: Overridden methods must have the same name, argument list, and return type. The overriding method may not limit the access of the method it overrides. Q: What is constructor chaining and how is it achieved in Java? A: A child object constructor always first needs to construct its parent. In Java it is done via an implicit call to the no-args constructor as the first statement. Q: Can a double value be cast to a byte? A: Yes, a double value can be cast to a byte. Q: How does a try statement determine which catch clause should be used to handle an exception? A: When an exception is thrown within the body of a try statement, the catch clauses of the try statement are examined in the order in which they appear. The first catch clause that is capable of handling the exception is executed. The remaining catch clauses are ignored. Q: What will be the default values of all the elements of an array defined as an instance variable?